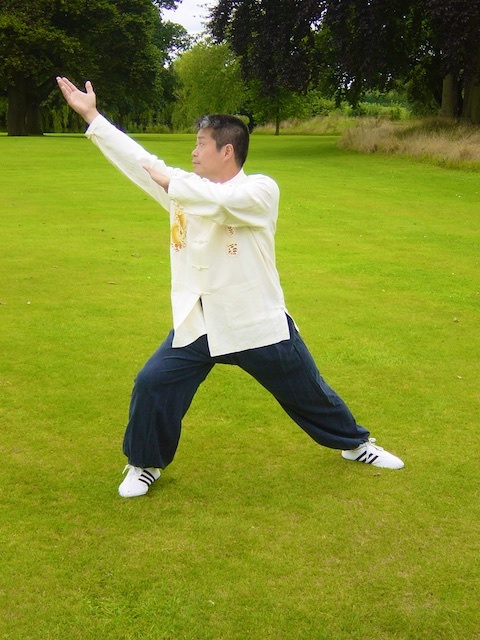 The purpose for practising Qigong is to improve our health. There are two parts of Qigong training, one is Dong Gong(movements) 動功，one is Jing Gong(meditation) 静功. The first thing we should learn is movement. Look at the nature, everything is moving. Movement makes things change and so movement a very important part of nature. Nature is Dao 道. When we study Qigong, we should become part of nature, the name Qigong, is actually not important. However the way and purpose of Qigong is important. Qigong is for health and ideally we should all be very healthy and live long into our 70’s, 80’s, 90’s and even past 100 years old. Unfortunately most of us do not follow nature. Qigong is part of nature and so we must learn how to move and how to rest. Qigong is not mystical and it is not a secret. It is the natural way to live, but most of us lose it because society makes us follow a certain way. So we lose ourselves and become imbalanced. We need to relearn how to move and rest to regain our balance and to live the natural way.